The past few days in Westcott House has been an experience that could be compared to standing on the shoulders of the theological giants of the Church of England, and even of wider Anglicanism. I have been at meetings in the Knight Room, a seminar or lecture room facing on one side onto Jesus Lane and out across the gardens of Jesus College, and on the other side onto the Front Court of Westcott House, and last night attended the Community Eucharist in the college chapel. Westcott House was founded in 1881 as the Clergy Training School by Brooke Foss Westcott (1825-1901), then the Regius Professor of Divinity in Cambridge University and later Bishop of Durham. Westcott was one of the Cambridge Triumvirate of Biblical scholars, alongside Joseph Lightfoot (1828-1899), who was Lady Margaret's Professor of Divinity at Cambridge and who preceded Westcott as Bishop of Durham, and the Dublin-born Fenton Hort (1828-1892), Hulsean Professor of Divinity in Cambridge. Together, these three produced The New Testament in the Original Greek, which lead to the Revised Version, the Revised Standard Version and eventually the New Revised Standard Version (NRSV) of the Bible. Although Westcott was the first President of the theological college to which he later gave his name, the first Principal was Frederic Henry Chase, who was had been appointed tutor in 1884. Chase became the first Principal (1887-1901) when Westcott House was given a formal constitution in 1887, and the council formed that year included all the Divinity Professors who were priests in the Church of England. Those beginnings were modest at first. The lectures and meetings were held in rented rooms at 20 King’s Parade, a side chapel in King’s College was used for worship, there was no common hall and the students lived in their own colleges or in rooms. The new college soon rented larger rooms in Saint Mary’s Street in 1884 and then at No 6 Saint Mary's Passage in 1889. In May 1899, it moved into permanent buildings in Jesus Lane, No 32 Jesus Lane was acquired in 1903 as a house for the Principal, a hall was built in 1912, and additional rooms were added in 1914. Meanwhile, Chase had become President of Queens’ College, Cambridge (1901-1906), Vice-Chancellor of the University of Cambridge (1902-1904), and then Bishop of Ely (1905-1924). He was succeeded as principal of Westcott House in turn by Henry Knight (1901-1911) and Charles Lambert (1911-1916). Like other theological colleges in the Church of England, Westcott House had to close its doors in 1916 at the height of World War I. After the war, it reopened in the spring of 1919 with Bertram Cunningham (1871-1944) as Principal. The boot scrapers outside the main entrance, in the shape of a rabbit and a pig, are heraldic puns on his surname: Cunny and Ham = Cunningham. The chapel and library were added in 1924, and further rooms were added in 1929. When Cunningham retired in 1944, he was succeeded by William Greer, the first Irish-born Principal of Westcott House. William Derrick Lindsay Greer (1902-1972) was a descendant of the Greer family from Rhone Hill, Co Tyrone, originally a family of prosperous Quaker linen merchants. His father, the Revd Richard Ussher Greer (1868-1915), was the Rector of Saint Michael's, Belfast, and Christ Church, Lisburn, before becoming Rector of Seapatrick, Banbridge, Co Down (1911-1915); on the outbreak of World War I, he became a chaplain in the Royal Irish Rifles, and died on active service on 23 June 1915. William Greer’s grandfather, the Revd William Henry Greer of Rhone Hill, was the Rector of Kilcoleman and Crossboyle, Co Mayo. William Greer was educated at Campbell College, Belfast, and Saint Columba’s College, Rathfarnham, and Trinity College Dublin, where he graduated BA (1924) and MA (1943). He spent some years in the Civil Service as Assistant Principal in the Ministry of Home Affairs in Northern Ireland (1924-1929) before he was ordained deacon in 1929 and priest in 1930. 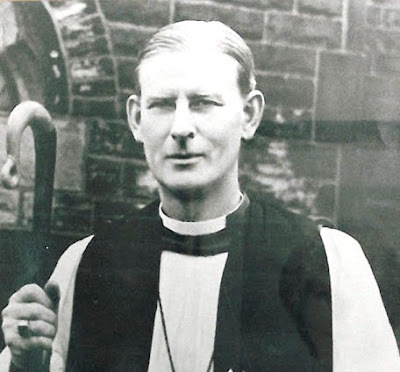 He was the curate (1929-1932) and then the Vicar (1932-1935) of Saint Luke’s, Newcastle upon Tyne, and then the Secretary of the Student Christian Movement (SCM) in Britain and Ireland (1935-1944) before becoming the Principal of Westcott House in 1944. In 1946, he married Marigold Hilda Katharine Stogdon, daughter of the Revd Edgar Stogdon, Vicar at Harrow on the Hill, London. Greer became Bishop of Manchester in 1947, and remained there as bishop until 1970. Westcott still has close connections with the Diocese of Manchester. Greer gave his name to Bishop Greer School in Manchester, which merged with Fallowfield Schools in 1984 to form Trinity CE High School, a state comprehensive High school and technology college in Manchester. He died on 30 October 1972. When he became Bishop of Manchester in 1947, Greer was succeeded at Westcott House by Kenneth Carey (1948-1961), later Bishop of Edinburgh. He was followed Peter Walker (1962-1972), later Bishop of Dorchester, Mark Santer (1972-1981), later Bishop of Birmingham and co-chair of ARCIC, Rupert Hoare (1981-1993), a former Canon Theologian at Coventry Cathedral who became Bishop of Dudley and then Dean of Liverpool, Michael Roberts (1993-2006), who became a canon of Ely Cathedral, and Martin Seeley (2006-2015), now Bishop of St Edmundsbury and Ipswich. The present principal of Westcott House, Canon Chris Chivers, also chairs the Trustees of Us, the Anglican mission agency previously known as USPG (the United Society for the Propagation of the Gospel), who have been meeting this week in Westcott House. Past staff members at Westcott House have also included many of the important Anglican theological figures over many decades, and a large number of bishops and cathedral deans. They include Robert Runcie, Archbishop of Canterbury; John Habgood, Bishop of Durham and Archbishop of York; Hugh Montefiore, Bishop of Birmingham; Alan Webster, Dean of Saint Paul’s; and, of course, Rowan Williams, Archbishop of Canterbury and now Master of Magdalene College, Cambridge. Previous vice-principals include Charles Freer Andrews, who was a missionary, educator and social reformer in India; John Collins, later Canon of Saint Paul’s Cathedral, London, and a leading figure in both the Campaign for Nuclear Disarmament and the Anti-Apartheid Movement; the theologian Don Cupitt, later Dean of Emmanuel College, Cambridge; Mary Tanner, later European President of the World Council of Churches; Canon Angela Tilby of Christ Church, Oxford, and a well-known media commentator; and the theologian Harry Williams. The alumni also include numerous bishops, theologians and leading Church figures: the liturgist Bishop Henry de Candole, David Edwards of Southwark Cathedral, Archbishop Barry Morgan of Wales, Bishop Mervyn Stockwood of Southwark, and Graham Ward, Regius Professor of Divinity in Oxford University. In the past, many students from the Church of Ireland Theological College, as it was, were also exchange students at Westcott House. 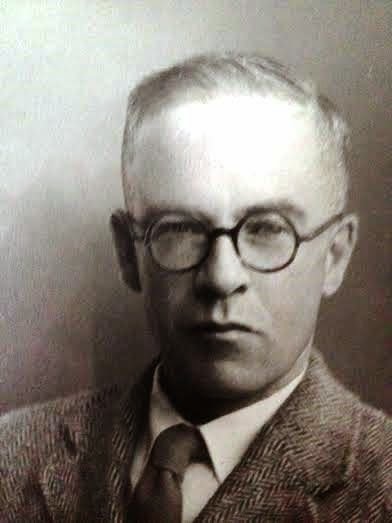 Dr Maurice O’Connor (‘Con’) Drury was (1907-1976) an ordinand for just a year before he left Westcott House, but is one of the interesting Irish alumni of Westcott House. Con Drury became a friend of the philosopher Ludwig Wittgenstein, while he was an undergraduate at Saint John’s College, Cambridge. He was instrumental in arranging Wittgenstein’s various visits to Ireland, and was a pioneer in psychiatric medicine in Ireland as the Resident Psychiatrist in Saint Patrick’s Hospital (“Swift’s Hospital”) and its nursing home, Saint Edmundsbury’s, in Lucan.